You may have a supporters cap in your wardrobe, but we guarantee you don’t have one like this! Canterbury’s Vodafone Warriors Training Cap is not just for keeping the sun off at the game, it’s also a limited edition collector’s item from our 2019 Vodafone Warriors Training range. 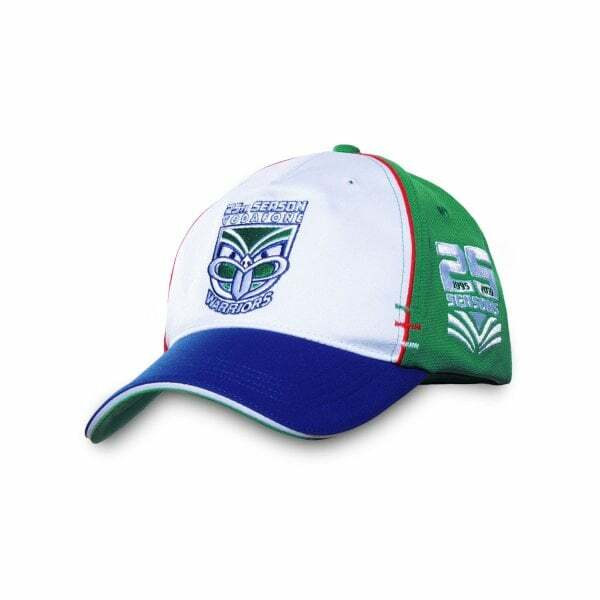 A sturdy 5-panel cap with an adjustable Velcro centre back closure, it features the Vodafone Warrior’s 1995 foundation colours of red, white, green and blue and a commemorative logo celebrating the team’s 25 years in the NRL. Wear it with pride or hang it in your collection, but secure yours now from Canterbury.